The Tone Scale—a vital tool for any aspect of life involving one’s fellows—is a scale which shows the successive emotional tones a person can experience. By “tone” is meant the momentary or continuing emotional state of a person. Emotions such as fear, anger, grief, enthusiasm and others which people experience are shown on this graduated scale. Skillful use of this scale enables one to both predict and understand human behavior in all its manifestations. This Tone Scale plots the descending spiral of life from full vitality and consciousness through half-vitality and half-consciousness down to death. By various calculations about the energy of life, by observation and by test, this Tone Scale is able to give levels of behavior as life declines. These various levels are common to all men. When a man is nearly dead, he can be said to be in a chronic apathy. And he behaves in a certain way about other things. This is 0.05 on the Tone Scale. When a man is chronically in grief about his losses, he is in grief. And he behaves certain ways about many things. This is 0.5 on the scale. When a person is not yet so low as grief but realizes losses are impending, or is fixed chronically at this level by past losses, he can be said to be in fear. This is around 1.0 on the scale. An individual who is fighting against threatened losses is in anger. And he manifests other aspects of behavior. This is 1.5. The person who is merely suspicious that loss may take place or who has become fixed at this level is resentful. He can be said to be in antagonism. This is 2.0 on the scale. Above antagonism, the situation of a person is not so good that he is enthusiastic, not so bad that he is resentful. He has lost some goals and cannot immediately locate others. He is said to be in boredom, or at 2.5 on the Tone Scale. At 3.0 on the scale, a person has a conservative, cautious aspect toward life but is reaching his goals. Very few people are natural 4.0s. A charitable average is probably around 2.8. You have watched this scale in operation before now. Have you ever seen a child trying to acquire, let us say, a nickel? At first he is happy. He simply wants a nickel. If refused, he then explains why he wants it. If he fails to get it and did not want it badly, he becomes bored and goes away. But if he wants it badly, he will get antagonistic about it. Then he will become angry. Then, that failing, he may lie about why he wants it. That failing, he goes into grief. And if he is still refused, he finally sinks into apathy and says he doesn’t want it. This is negation. A child threatened by danger also dwindles down the scale. At first he does not appreciate that the danger is posed at him and he is quite cheerful. Then the danger, let us say it is a dog, starts to approach him. The child sees the danger but still does not believe it is for him and keeps on with his business. But his playthings “bore” him for the moment. He is a little apprehensive and not sure. Then the dog comes nearer. The child “resents him” or shows some antagonism. The dog comes nearer still. The child becomes angry and makes some effort to injure the dog. The dog comes still nearer and is more threatening. The child becomes afraid. Fear unavailing, the child cries. If the dog still threatens him, the child may go into an apathy and simply wait to be bitten. Every person has a chronic or habitual tone. He or she moves up or down the Tone Scale as he experiences success or failure. These are temporary, or acute, tone levels. 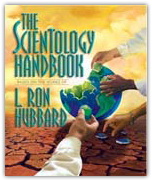 A primary goal of Scientology is to raise a person’s chronic position on the Tone Scale. Objects or animals or people which assist survival, as they become inaccessible to the individual, bring him down the Tone Scale. Objects, animals or people which threaten survival, as they approach the individual, bring him down the Tone Scale. This scale has a chronic or an acute aspect. A person can be brought down the Tone Scale to a low level for ten minutes and then go back up, or he can be brought down it for ten years and not go back up. A man who has suffered too many losses, too much pain, tends to become fixed at some lower level of the scale and, with only slight fluctuations, stays there. Then his general and common behavior will be at that level of the Tone Scale. Just as a 0.5 moment of grief can cause a child to act along the grief band for a short while, so can a 0.5 fixation cause an individual to act 0.5 toward most things in his life. There is momentary behavior or fixed behavior.